Pézenas single storey villa, 3 bedrooms, swimming pool, garage, garden of 669m², quiet, walking distance to amenities, a real haven of peace! Pezenas Village house, renovated with taste, 6 bedrooms, adjoining house to be renovated, yard, terrace, summer kitchen, garage, all in the centre and overlooking the beautiful village, turnkey ! Pezenas Renovated stone barn, 215m², 3 bedrooms, pool, garage, garden, quiet, walking distance to shops, very good rental income, a real haven of peace! Pézenas gets it name from the older name Piscenae, probably from the Latin word piscenis, meaning fishpond. According to legend, there was a lake full of fish behind the Chateau. Inhabitants of Pézenas are Piscenois. The origins of Pézenas are unclear, but were influenced by three factors: water from the River Peyne, an ancient pre-Roman route from Rodez to Saint Thibéry and a defensive hill. The town has a history stretching from the Middle Ages and is full of artists and craft shops as well as being famous in France for its antique shops. There are a large number of restaurants and bars in the town and every Saturday one of the largest street markets in the Hérault department. It is a pretty town that was very prosperous in the 15th and 17th Centuries and contains some magnificent stately homes. There is a sign-posted tour of the town that takes about two hours on foot. The local speciality is 'Le petit pâté de Pézenas', which is the size and shape of a large cotton reel. It is a sweet/savoury pie supposedly made to a recipe from Clive of India. There are also boiled sugar sweets called 'Le berlingot de Pézenas'. Unlike some parts of the Hérault and Gard, Pézenas is shielded from the worst of the Mistral and the Tramontane, as it sits in-between the air flows of the two currents, catching the tail of the winds from the Rhône valley, and the tail of the Tramontane coming up the valley from Narbonne and Perpignan. The climate and weather in Pézenas due to its situation in the Mediterranean, offers one of the best and sunniest climates of the whole of France - there are more than 300 days of sunshine per year! Pézenas and its region are attractive all year round. Situated in Pézenas, 40 km from Montpellier, Le Grand Hôtel Molière features air-conditioned rooms with free WiFi. Each room has a flat-screen TV. For your comfort, you will find free toiletries and a hairdryer. Cap d'Agde is 21 km from Le Grand Hôtel Molière, while Sète is 23 km from the property. The nearest airport is Montpellier - Mediterranee Airport, 45 km from the property. This property is also rated for the best value in Pézenas! Guests are getting more for their money when compared to other properties in this city. The town has a history stretching from the Middle Ages and is full of artists and craft shops as well as being famous in France for its antique shops. There are a large number of restaurants and bars in the town and every Saturday one of the largest street markets in the Herault department. Of particular interest in the town are many festivals and events based on Moliere, a playwright in the16th century whose patron lived here, the Duc de Montmorency. 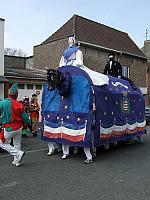 Many events are held to celebrate Moliere and the period, often circling the cobbled streets. Details can be found at the Tourist Office in the centre of Pezenas for current local events, ideal for adults, families and children. With the Mediterranean only 20 minutes drive away and some superb sandy beaches you can be sure of a good break. Castelnau de Guers - On a spur overlooking the Hérault valley, a medieval town named after the Barons of Guers who dwelt in the feudal castle with a splendid view of the valley from the terrace. Nézignan-l'Evêque - Once a Roman villa, then owned by the Counts of Béziers, Nézignan-l'Evêque was taken over by the bishops of Agde in the 12th c.
Aumes - On a promontory overlooking the plain of the Hérault. Bessan - Small town of 4200 people away from the seaside resorts, set in ancient vineyards between the Ramus hills and the Hérault. Florensac - On the left bank of the Hérault in Bas-Languedoc wine country, near the sea. Pomerols - A typical Languedoc wine-producing village with the advantages of both seaside and countryside, Pomérols has managed to conserve its environment and its friendliness.